AK Steel Corporation, Middletown Works and Machinists’ (IAM) Local Lodge 1943 celebrated on Friday the launch of the company’s first Maintenance Mechanic Apprenticeship Program, one aimed at meeting both employee development and business needs. 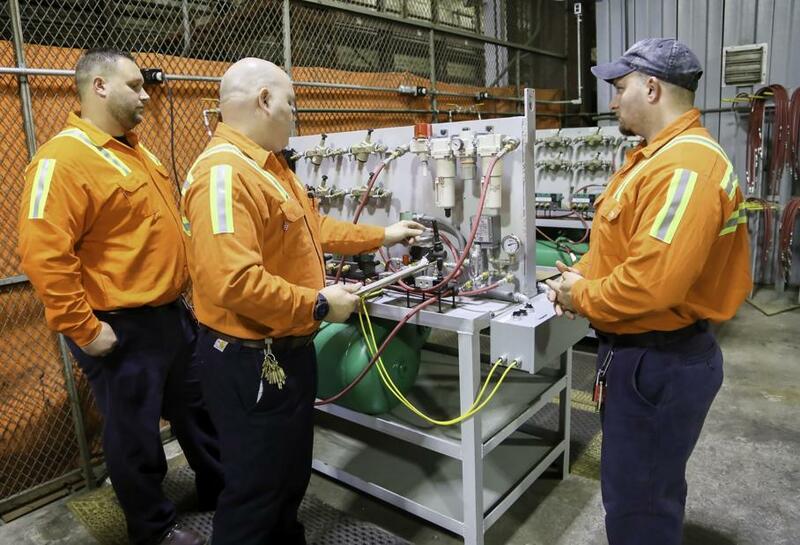 Launched on National Manufacturing Day, the program gives union production employees the opportunity to train to become fully accredited journeymen in Maintenance Mechanics as Maintenance Technicians through classroom work as well as on the job training. The 18-month program is the “lifeblood” of AK Steel, according to Kirk Reich, the company’ president and chief operating officer. next post: “You shouldn’t need a college degree to be part of the middle class.” Count on this to become a new national Democratic theme.